When the introduction of the automobile began to adversely affect the Wisconsin Carriage Company's sales, they applied their design skills to creating coaster wagons and other sidewalk toys. Unfortunately, the Depression made toys of this type a luxury and the factory closed in 1940. 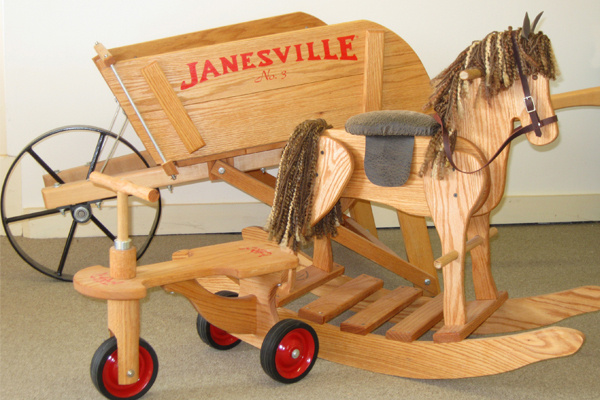 In 1978, the Janesville Coaster Wagon was resurrected by a businessman seeking a special gift for his grandson. 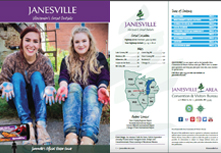 Watch local artisans create handcrafted JANESVILLE coaster wagons and children's wooden toys.